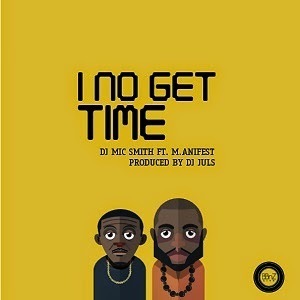 The amazing and exceptionally talented DJ Mic Smith is here with ‘’I No Get Time’’ featuring Ghana’s finest Hip-Hop artist M.anifest. This is another banger coming off his Album ‘’THE SHUTDOWN’’. This album has had songs such as ‘’We Just Landed’’ ft E.L, C-Real, Joey B, Gemini & Stargo, ‘’Da Reminder’’ ft. E.L & Scientific, ‘’Go Your Way’’ ft. E.L & Edem etc. Clearly, no one has time for ‘’Wele’’ or ‘’Beef’’. DJ Mic Smith has proven himself to be force to beckon within the industry and he keeps on growing higher and higher. He recently played at this years VGMA’s and honestly ‘’he hasn’t got time for failure’’ its all about making it big and he showed that to Ghana and beyond. DJ Juls was the producer behind the explosive. Get up and ‘’Grooooove’’ to this Banger.